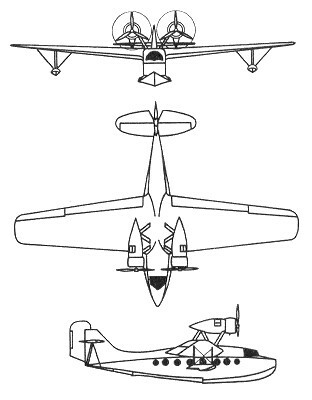 The prototype MC.94 commercial amphibian flew for the first time in 1935 powered by two 574kW Wright SGR-1820-F air-cooled radial engines, and fitted with retractable wheels which swung forward into streamlined casings in the leading edges of the wings. The two pilots had a fully enclosed cockpit, and up to 12 passengers a main cabin equipped with a toilet to the rear, baggage in an aft compartment and marine gear in a nose compartment. The first five production MC.94 (without the retractable wheels of the prototype) were similarly powered. 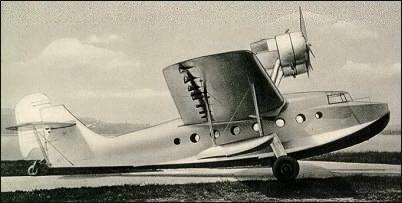 The only other production aircraft were six similar flying-boats with 596kW Alfa Romeo 126 RC.10 engines. All MC.94 served initially with Ala Littoria.